Easton, PA -- Famous Smoke Shop is a leading online distributor of discounted premium cigars. The company specializes in offering the web’s widest selection of cigars at the lowest prices. 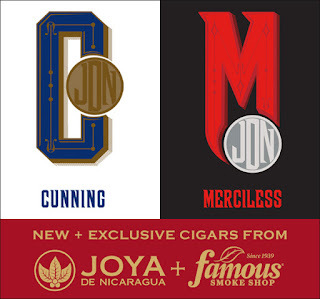 Famous has just released two new cigar lines under the Joya de Nicaragua brand . 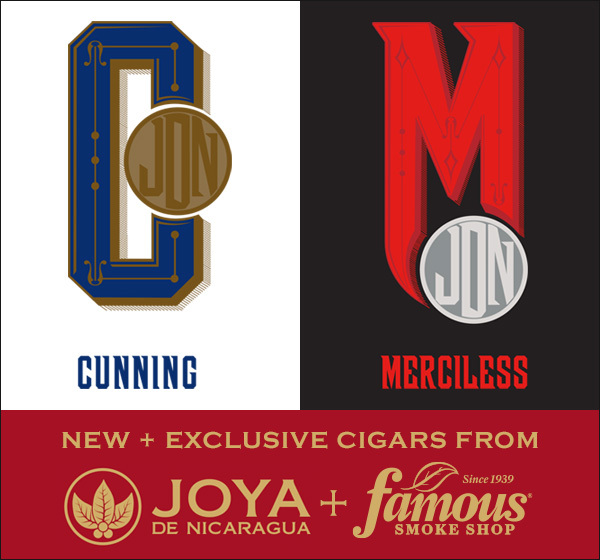 These new releases are the highly anticipated Cunning and Merciless Cigars, and they are exclusively available at Famous Smoke Shop. The first shipment is expected to arrive to the company’s warehouse mid-August preordering is currently available on their website. The company has expressed that both these new brand will be available in limited quantities, but is not a one-time release and will be a consistent offering for the foreseeable future. Both of these cigars will be the first releases within their respective lines. Cunning will have a new blend designed to provide sophisticated and complex flavors to satisfy every cigar smoker’s taste buds. This blend will be made in small batches and production on the brand will be limited. Merciless is expected to come out on the same day as the milder Cunning cigar in order to offer more veteran smokers the opportunity to enjoy a blend with a little more strength. Cunning cigars utilize a blend consisting of a complex mixture of Nicaraguan filler tobaccos and binder, and a silky smooth yet incredibly flavorful Ecuadorian Shade Grown Connecticut wrapper leaf. The Merciless cigar utilizes a blend consisting of complex Nicaraguan fillers, a smooth Dominican binder, and a lush and flavorful Ecuadorian Habano wrapper tobaccos which has been a proven wrapper offering cigar smokers have sought for years. The result of both is simply unfounded anywhere in the cigar industry, and has already gained immense popularity among those who were given the rare opportunity to try the pre-release of both cigars. Cunning and Merciless cigars are available in three sizes – a 7 x 50 Churchill, a 6 x 60 Magnum, a 6 x 50 Toro, and a 5 x 50 Robusto. With Famous’ full box discount pricing, customers can enjoy these new offerings with individual retail prices ranging from $3.46 to $4.62 per cigar for the Cunning, and $3.22 to $5.02 for the Merciless. People interested in learning more about Cunning and Merciless cigars, or Famous Smoke Shop should visit Famous-Smoke.com or call 800-564-2486.